I just watched the last little bit of the Green Day portion of a concert being aired on MTV. When I first turned it to the channel I was suprised to see that MTV was playing music at all much less music that wasn't super poppy or hip-hop. (Nothing against hip-hop, but let's just say that it ranks with country as a special niche genre of music that can be great, but tries so hard to appeal to so many that it is mainly just watered down, and boring.) 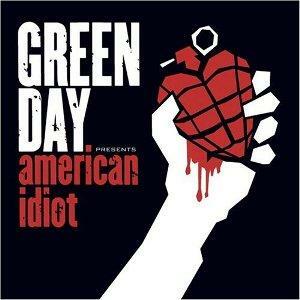 So I kept watching despite Green Day not being a band that I'mas fond of as I once was. When I was in high school I rocked out to Longview and Welcome to Paradise but have since moved on to greener, more musically layered days. To me the boys never really moved past that bratty, punk-rock, screw-the-man type of rock that appealled to me as a teenager, but now seems a little juvenile and one-dementional. But this concert made have changed my mind and brought me back into the fold as a Green Day fan. Well, fan is a strong word. I am an R.E.M. fan, as I will go out and buy any album they put out, whether I've sampled it or not. The same goes with Ben Folds and Dave Matthews Band. So I'm not a Green Day fan, but I can certainly appreciate them a lot more after seeing this televised concert. The concert was filmed last week in Berlin as part of the Live 8 Festival to help raise money for AIDS in Africa. This is a series of concerts that took place all last week during the G8 Summit in all of the G8 nations. What most impressed me was not their musical prowess. They seem to contain roughly the same amount of punk rock talent, or lack there of, as in their early days. They have matured, however, in their ability to not only grip a crowd and hold on, but to get a clear message across. This message is what sets them apart from their earlier days. The message, said bluntly is, don't let the burocrats in charge take complete control of your life. The people are still the true rulers and have the ultimate say in things. He seemed truly anti-establishment in way that your thoughtful, genuinely concerned citizen could get on board. Sometimes I get the feeling that a lot of people just want to say "F**k the man!" then get drunk, high, fall over and forget what they were saying. This is passe for the gentlemen of Green Day. A mindset of their youth that has blossomed into a true calling. Their latest album American Idiot is unabashedly political, and takes an unapoligetic jab at the current President Bush for his domestic, foreign, and diplomatic policies. Billy Joe Armstrong, the lead singer of Green Day, is particularly inspiring on songs like Holiday, a song that, while I don't know the lyrics verbatem, can only be describes as an anthem for rallying the countries youth to action. If this is not the intension in the lyrics, the feel and spirit of the song certainly shines this through. The song Minority gets me thinking about my life as Christian. It would be a stretch to say that Billy Joe or any of the Green Day members are even remotely Christian, however the idea of rejecting the majority and being glad to be in the minority is one that I think anyone with a true grasp of following Christ can identify with. The line "Down with the moral majority / I want to be the minority" struck a chord with me because I've often felt that my own morals, and how I percieved right from wrong conflicted with how certain institutions or organized moralities told me I was supposed to view morality. All in all, I was inspired by the Green Day performance. It showed me something that I'd been concerned with for sometime: a youth movement that was not only viable as a means to get the youth of the country involved, but a voice that is mature enought that it could be paid attention to. All of this and the underlying message is still peace, not war. Musical movements have the power to induce love and hate and there was a while there that it seemed like more hate was being played on the airwaves than love. I'm not counting the sappy crow of bands like Nickelback or Three Doors Down. And I'm not talking about country singers that back up every word that comes out of the president's mouth. I'm talking about music that questions authority and opposes the government. As an American this is, after all, our greatest resource: the ability to defy authority, speak ill of the government, and protest,peacefully, policies and decisions that we don't agree with, and feel are wrong. I think that Green Day does this a well as anyone does and they actually get radioplay.